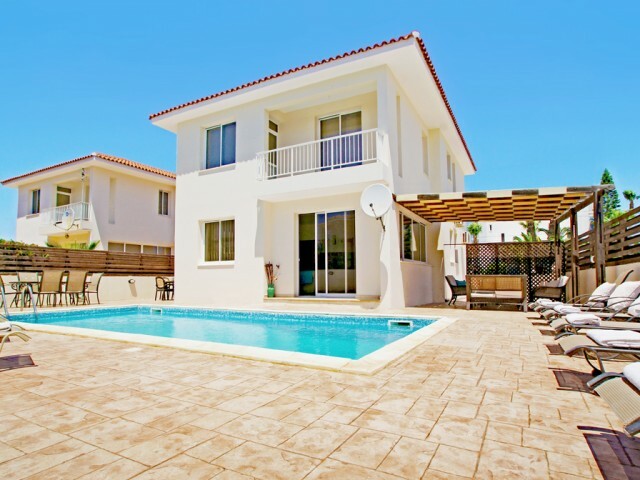 Situated in quiet area very close to the beach in Pernera with all amenities within a close range and a short walk to Protaras centre this lovely villa with lot of space and a nice pool is the perfect place to enjoy in your holidays. The villa has.. Ten large bedrooms, eight of which have their own bathroom. Large dining room and living room. Three fully equipped kitchens. Large heated pool. The villa is situated on a large corner plot of land of 1300 m² in a quiet residential area with views.. Fantastic villa, modern and contemporary 4 bedroom villa with private pool on a beachfront setting. Located in the pretty and unspoilt Limni area of Polis where you will find the rugged natural shoreline to explore at your leisure. 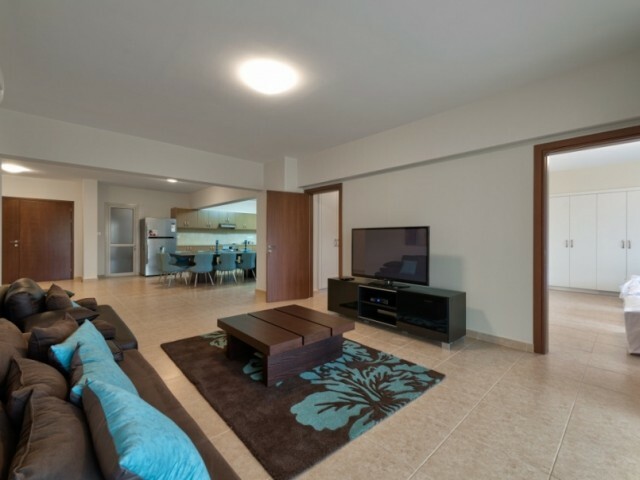 This spacious b..
2 bedroom apartment in Paphos, Peyia, in a small complex, 5 km from the beach. 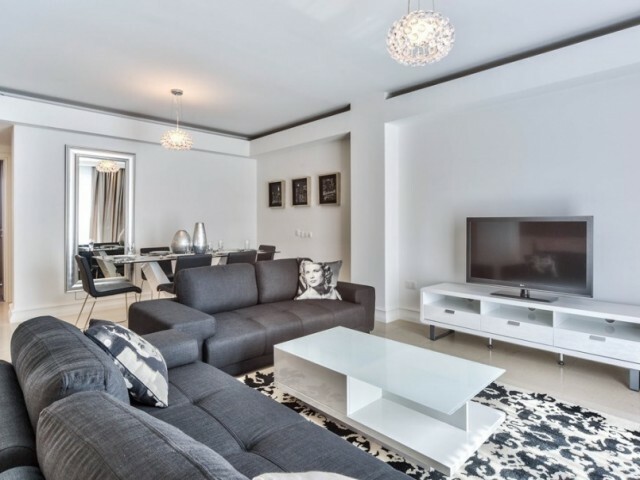 The apartments have a swimming pool, sun terrace and parking. From balconies overlooking the Mediterranean Sea. 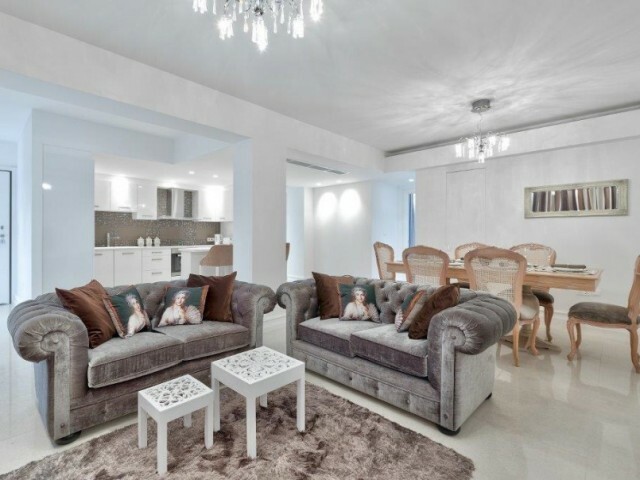 Peyia is located on the hillsides near Coral Bay, on the..
Three bedroom, fully furnished apartment in a convenient location tourist area on the seafront, near Mc Donalds. 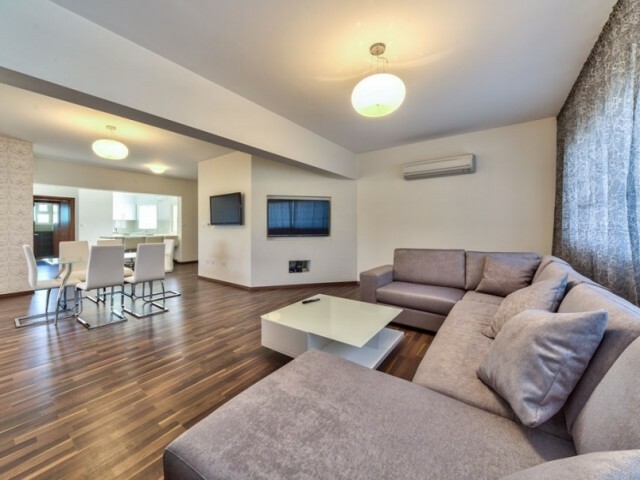 In walking distance of all the necessary infrastructure: a large supermarket, grocery stores, numerous restaurants, entertainment, sou..
Three bedroom, fully furnished luxury apartment in a prestigious complex. Located in a convenient location in tourist area, on the first line, 20 meters from the beach, near the hotel The Crusader, and not far from the Atlantica Miramare Hotel and..
Three bedroom, fully furnished apartment in a prestigious residence. Located in a convenient location in tourist area, on the first line, 20 meters from the beach, near the hotel The Crusader, and not far from the Atlantica Miramare Hotel and Loui.. The center of the tourist zone, 200 meters from the sea - near the cafe Pascucci. 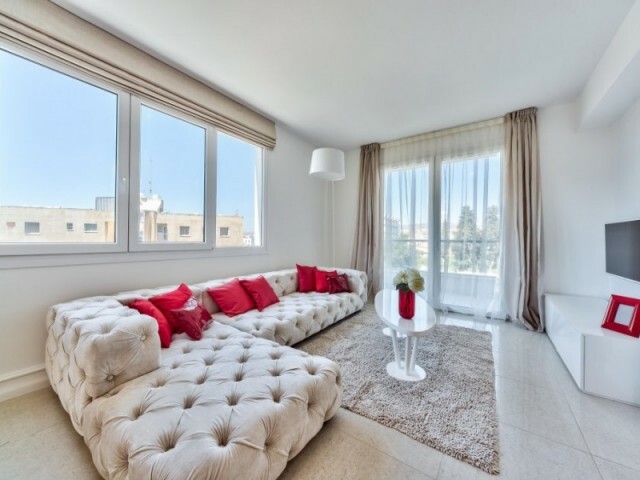 In walking distance of all the necessary infrastructure - a supermarket, restaurants, hour bakery, souvenir shops and luxury, entertainment, cinema, bowling, amuseme..
Three bedroom fully furnished penthouse luxury in the heart of the tourist zone, 200 meters from the sea - near the cafe Pascucci. In walking distance of all the necessary infrastructure: restaurants, hour bakery, souvenir shops and luxury, entert..
Three bedroom fully furnished luxury apartment in a prestigious complex. Located in a convenient location in tourist area, on the first line, 20 meters from the beach - near the hotel The Crusader, and not far from the Atlantica Miramare Hotel and..